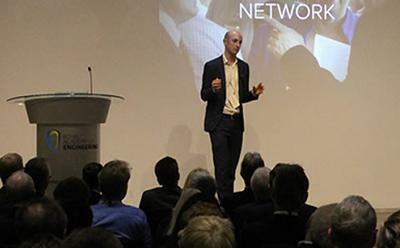 A new initiative that brings together University of Southampton researchers, entrepreneurs, successful start-ups and aspiring student innovators was launched on Tuesday evening at Prince Philip House, London. Future Worlds is a new platform, which focuses on the business of invention and entrepreneurship, highlighting the innovative commercial opportunities being developed by researchers and students at the University of Southampton. By providing exclusive access to events, support, and mentors with a global network of contacts, Future Worlds helps turn these opportunities into market-ready solutions for a range of industries. The launch saw five aspiring entrepreneurs – ranging from an undergraduate student to a professor – pitching their businesses, with investment opportunities as varied as multipurpose, portable medical tests, and an augmented real-time map technology for disaster response.